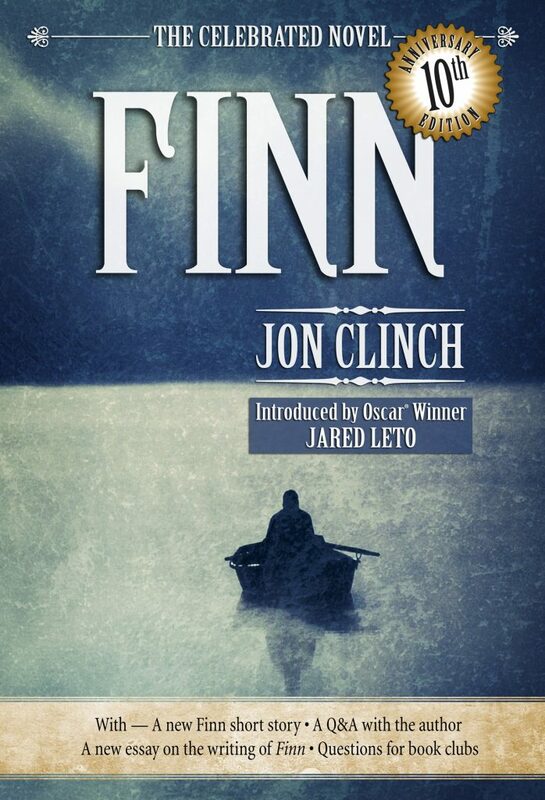 This is the 10th-Anniversary Edition of Finn, with a new introduction by Jared Leto. In this masterful debut, Jon Clinch takes us on a journey into the history and heart of one of American literature’s most brutal and mysterious figures: Huckleberry Finn’s father. The result is a deeply original tour de force that springs from Twain’s classic novel but takes on a fully realized life of its own. Finn sets a tragic figure loose in a landscape at once familiar and mythic. It begins and ends with a lifeless body–flayed and stripped of all identifying marks–drifting down the Mississippi. The circumstances of the murder, and the secret of the victim’s identity, shape Finn’s story as they will shape his life and his death. Along the way Clinch introduces a cast of unforgettable characters: Finn’s terrifying father, known only as the Judge; his sickly, sycophantic brother, Will; blind Bliss, a secretive moonshiner; the strong and quick-witted Mary, a stolen slave who becomes Finn’s mistress; and of course young Huck himself. In daring to re-create Huck for a new generation, Clinch gives us a living boy in all his human complexity — not an icon, not a myth, but a real child facing vast possibilities in a world alternately dangerous and bright. Finn is a novel about race; about paternity in its many guises; about the shame of a nation recapitulated by the shame of one absolutely unforgettable family. Above all, Finn reaches back into the darkest waters of America’s past to fashion something compelling, fearless, and new. Named a best novel of the year by the Washington Post, the Chicago Tribune, and the Christian Science Monitor.